Fluenta, the world leader in ultrasonic flare metering, with hundreds of products deployed in the most remote and hostile locations around the world, has renewed its Value Added Reseller (VAR) agreement with ABLE Instruments & Controls Ltd. The three-year agreement covers the UK & Australia and marks a successful commercial relationship spanning more than a decade. ABLE Instruments & Controls are an established supplier of process and analytical instrumentation solutions with significant experience of supply to the Oil & Gas and Petrochemical sectors, in particular as part of major EPC Projects. ABLE will continue to add value to Fluenta’s core technology products by providing system integration and project management services to the specified VAR territory and globally, as agreed on a project by project basis. Customer support will be provided directly by ABLE via its factory trained and certified service team. 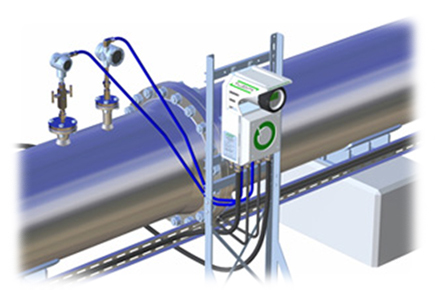 ABLE considers the Fluenta Flare Gas Meter a vital part of its product portfolio and an essential tool for operators due to its ability to accurately track gases being emitted through a flare stack, detect leaks during mass balance calculations and provide accurate measurement of very low flow rates. ABLE will bring its extensive project management infrastructure and engineering knowledge to bear whilst working closely with Fluenta to provide superior levels of performance in the implementation of equipment supply to the correct specification and on schedule. For more information regarding the Fluenta Flare Gas Meter, please click here.